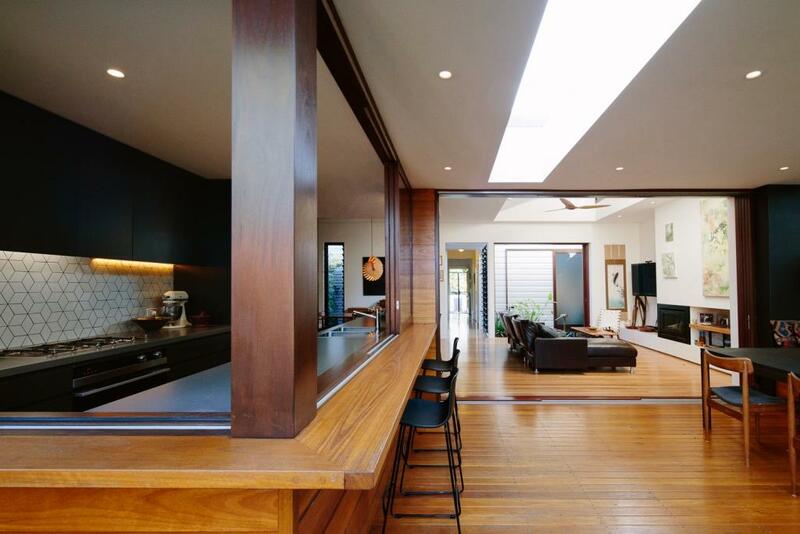 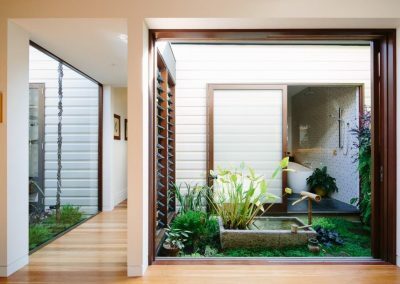 The Courtyard House was designed by Davis Architects and creates aesthetically pleasing indoor/outdoor living spaces inspired by Japanese architecture. 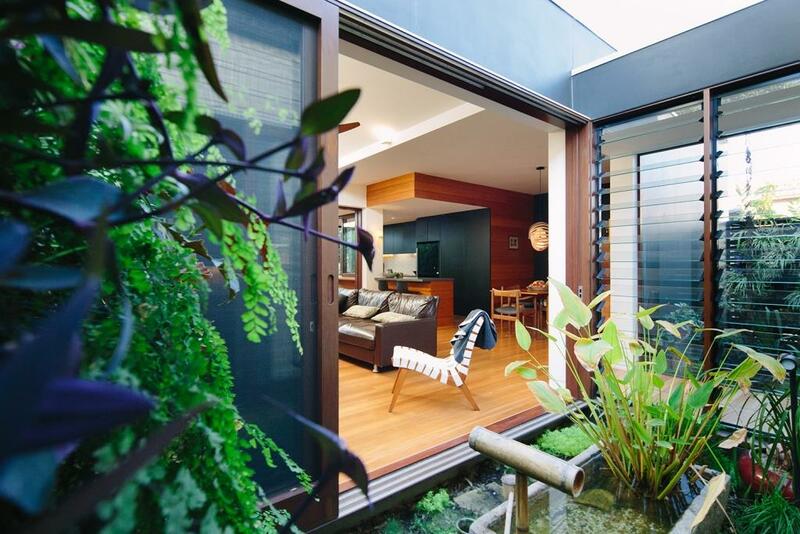 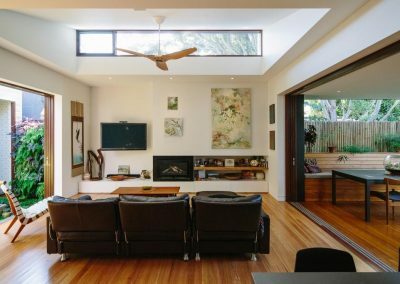 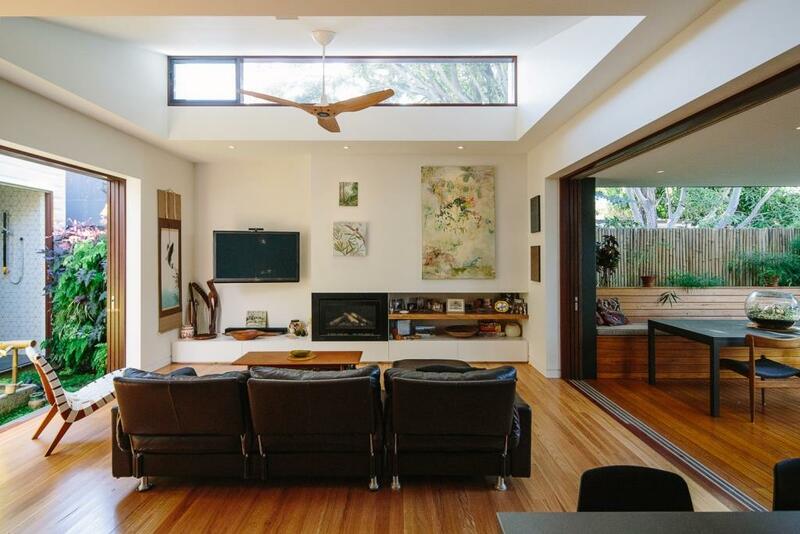 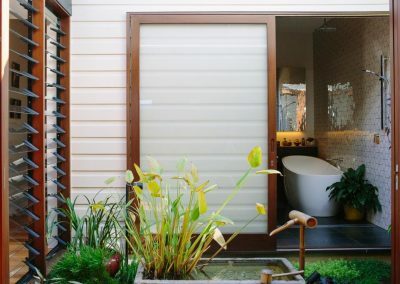 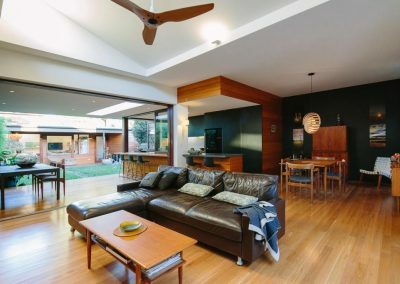 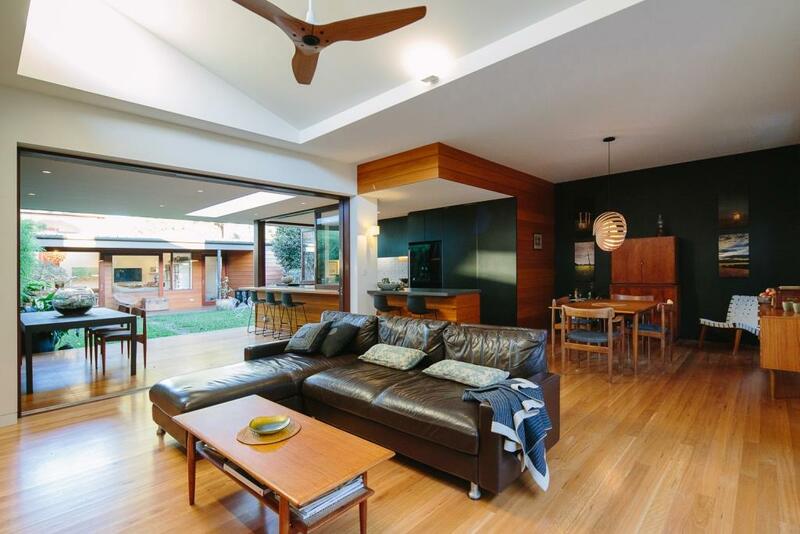 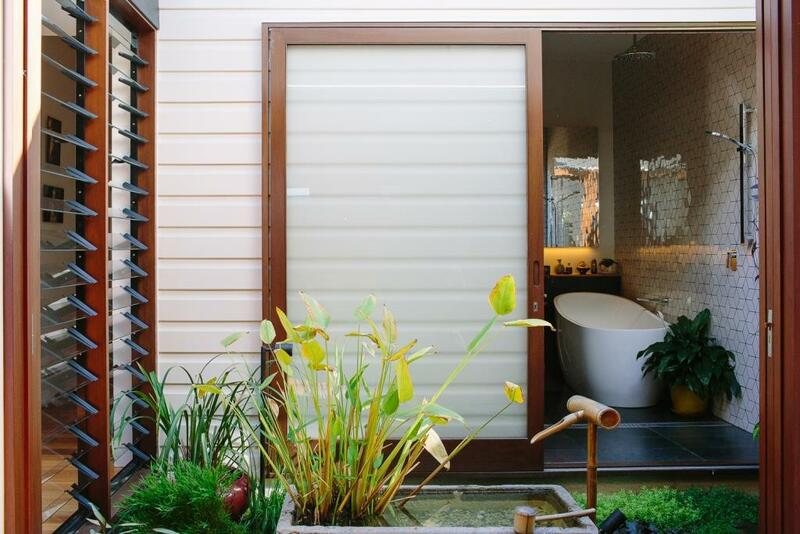 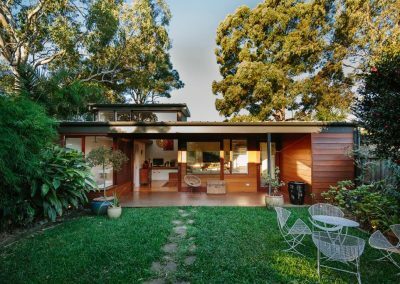 The renovation of the Inner West Sydney terrace takes into consideration form, function, light and air flow to really make the most out of the living spaces for the owners to enjoy. 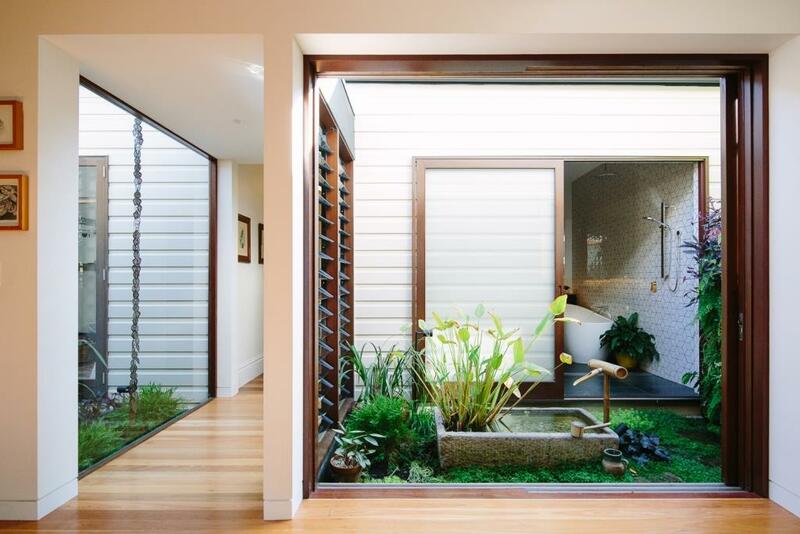 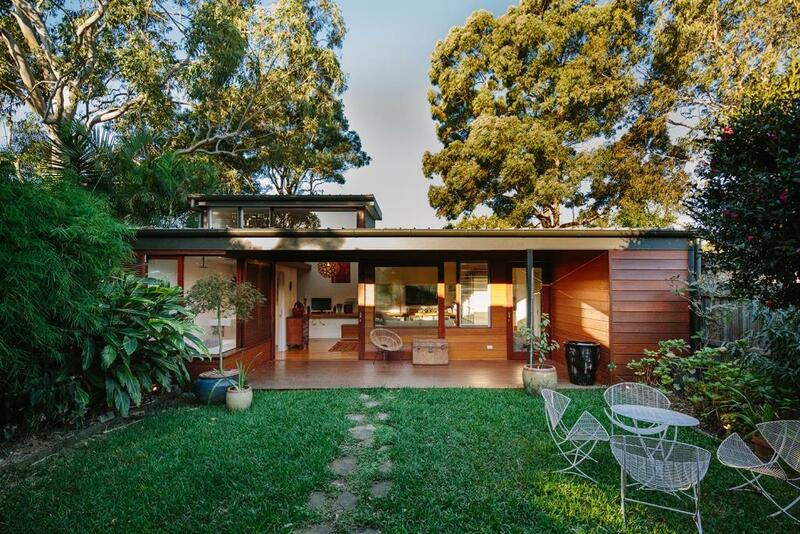 The renovation includes a ‘glass link’ assisted by the use of Breezway Altair Louvre Windows to join the old house structure to the new extension and features a Japanese garden to provide a sense of tranquility throughout the home. 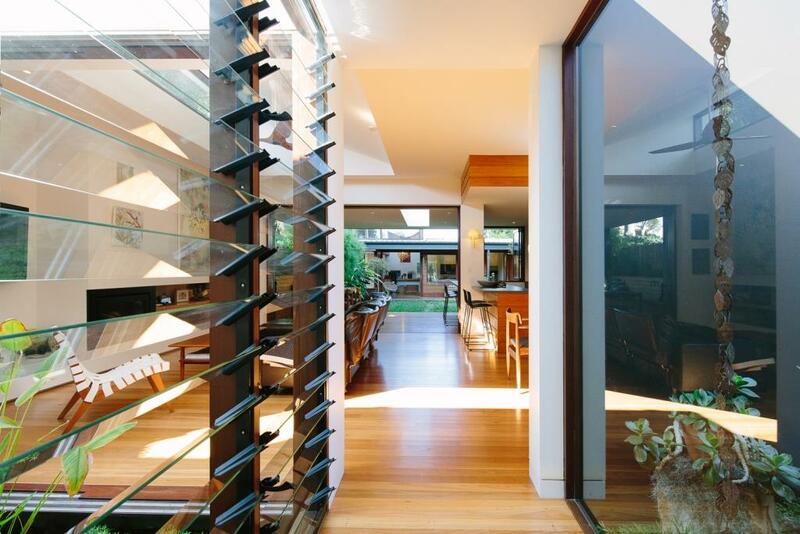 Breezway Louvres have been installed into timber frames, where the warmth of the natural timber in the glass link and throughout the living areas contrasts beautifully against the modern black kitchen. 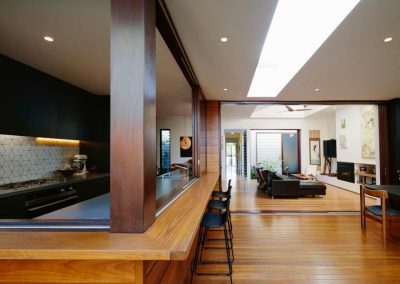 The use of high windows and light wells allow an abundance of natural light to fill the living spaces. 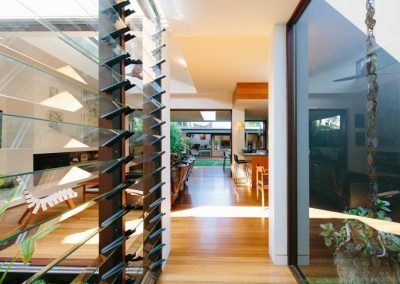 Breezway Louvres have also been used in other areas of the home to provide unobstructed views to outdoor surroundings while ventilating the home with natural breezes.